A prototype wearable device, tested in animal models, can continuously collect live cancer cells directly from a patient's blood. 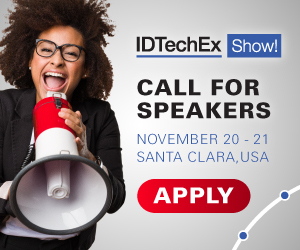 For more information see the IDTechEx report on Wearable Sensors 2018-2028https://www.idtechex.com/research/reports/wearable-sensors-2018-2028-technologies-markets-and-players-000555.asp. Developed by a team of engineers and doctors at the University of Michigan, it could help doctors diagnose and treat cancer more effectively. "Nobody wants to have a biopsy. If we could get enough cancer cells from the blood, we could use them to learn about the tumor biology and direct care for the patients. That's the excitement of why we're doing this," says Daniel F. Hayes, M.D., the Stuart B. Padnos Professor of Breast Cancer Research at the University of Michigan Rogel Cancer Center and senior author on the paper in Nature Communications. They developed protocols for mixing the blood with heparin, a drug that prevents clotting, and sterilization methods that killed bacteria without harming the cell-targeting immune markers, or antibodies, on the chip. Kim also packaged some of the smallest medical-grade pumps in a 3D-printed box with the electronics and the cancer-cell-capturing chip. The chip itself is a new twist on one of the highest-capture-rate devices from Nagrath's lab. It uses the nanomaterial graphene oxide to create dense forests of antibody-tipped molecular chains, enabling it to trap more than 80 percent of the cancer cells in whole blood that flows across it. The chip can also be used to grow the captured cancer cells, producing larger samples for further analysis.